Hong Kong's Causeway Bay overtook New York's Fifth Avenue to become the priciest retail district in the world. Hong Kong's Causeway Bay overtook New York's Fifth Avenue to become the priciest retail district in the world. Expensive and bargain goods are to be found in this labyrinth of commerce. 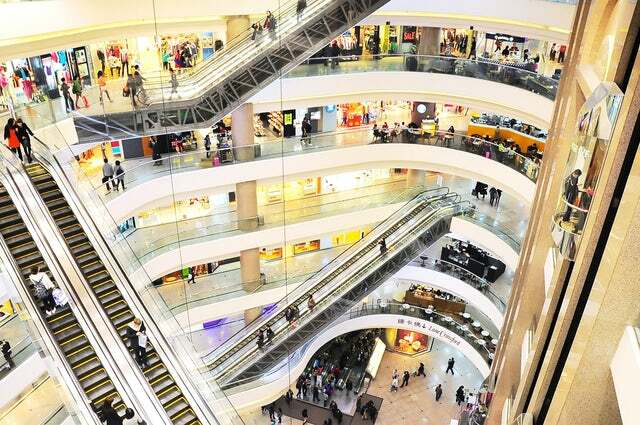 Below are a couple of malls you will find in the Causeway Bay. This is located 555 Hennessy Road, Causeway Bay. The mega shopping mall is a popular meeting point with the locals. It also features the most renowned Japanese departmental store in Hong Kong. Here, you will find goods such as high fashion, toys, electronics, cosmetics, jewelry etc. It is open from 10AM to 10PM Sunday through Thursday and 10AM to 10:30 PM on Fridays and Saturdays and eves of national holidays. Located at 2-10 Great George St., Causeway Bay, these two malls are the place to get men designer knockoffs. Trust me; if you shop here, nobody can dispute your sense of fashion. This is the mall of choice for parents intending to make their children happy. The mall boasts 20 stores that stock children's clothes and toys. Do not be surprised if you find the corrective shoes and other 'not-so-ordinary' kids' clothing. It is located at 311 Gloucester Road, Causeway Bay. At Retrostone, you will find all the vintage men and women brands. Whether you are looking for the original vintage, restored vintage or imitation vintage clothes, you will find them here. Almost all of the USA's vintage brands can be found here. It is amazing that some of these brands have disappeared off the shelves of American malls but can still be found here. Do you want to shop with celebrities? Liger is the place to go. Here, you get to dress like them. Liger is a creation of Hilary Tsui, the fashion icon, and her business partner. You will get brands such as Oh My God, Riu Du Mail, Alice McCall, and Joanna Hothead. Liger is located at 55 Paterson St., Fashion Walk, Causeway Bay. Of course there are other shopping complexes within the Causeway Bay. Make sure you get a bargain. There is literally nothing you cannot find at this shopping district. Good luck!